Find Tashee Group Developer- Properties, New Commercial and residential property ready to move. Get full details & Price of latest projects by Tashee Group Developers resale properties on Dwarka Expressway Gurgaon. Tashee Group, a real estate development company of repute with excellent knowledge of land acquisition, property performance analysis, and property development feasibility. The group is distinguished by its focused approach to the development of strategically located real estate projects in various parts of North India. TASHEE presents CAPITAL GATEWAY An Integrated Township coming up in Sector 111, Gurgaon (Dwarka Expressway).Tashee Group, A real estate development company of repute with excellent knowledge of Land acquisition, Property performance analysis & property development feasibility. The group is distinguished by its focused approach to the development of strategically located real estate projects in various parts of North India. * 5 minutes drive from Indira Gandhi International Airport, Delhi. * Located on main Dwarka Expressway. * In close proximity to upcoming Diplomatic Enclave in Dwarka. * 0 km from Delhi. * 4 km from upcoming Golf Course on Mehrauli - Najafgarh road. Established in 1998, Tashee Group is India's Premiere real estate developer headquartered in New Delhi. With a land bank of over 750 acres across the country. The group is currently in process of developing an excess of 14 Million square feet of the prime Real estate in Gurgaon and has one of the largest land banks in the country. 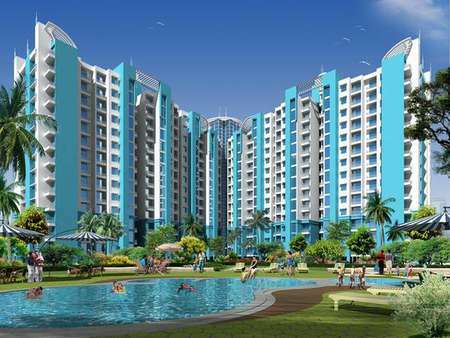 Under its flagship, the Group has launched the project in sector 68 Gurgaon.